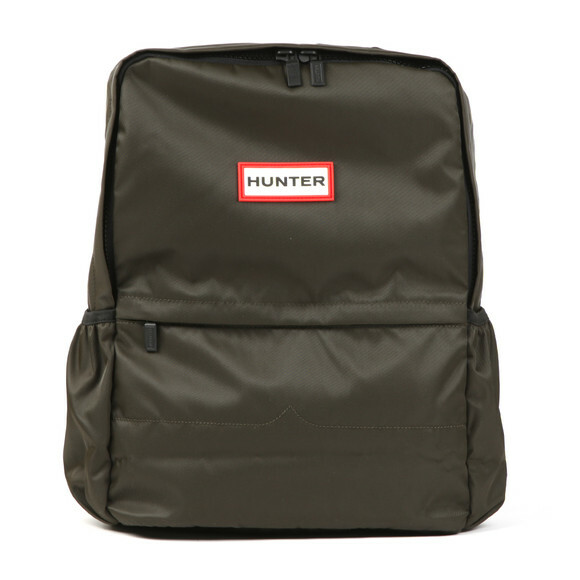 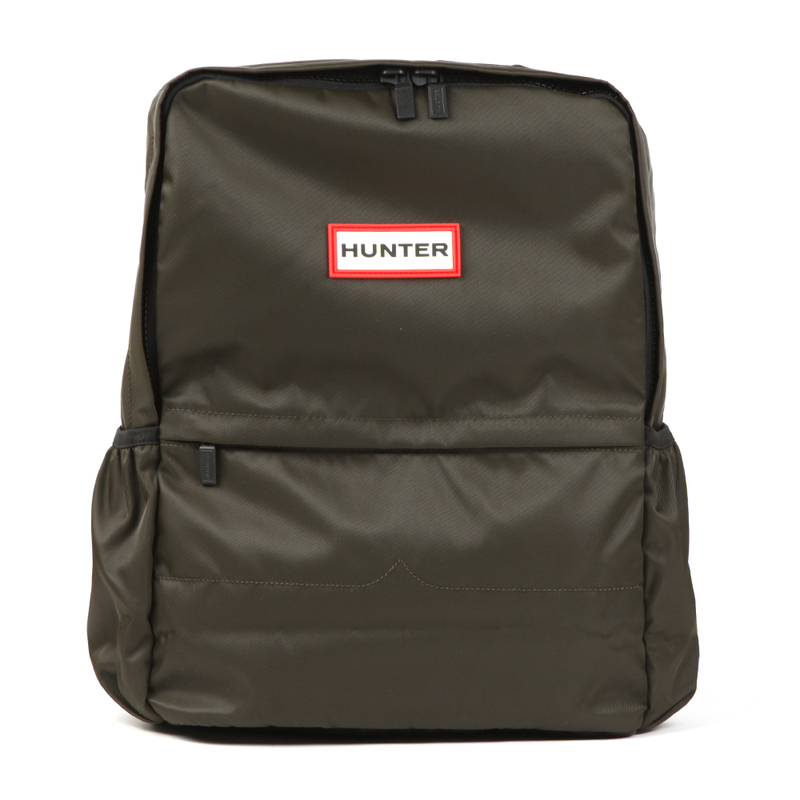 Hunter Original Nylon Backpack in Dark Olive. A lightweight backpack for all your carrying needs. Given a front zip pocket, side water bottle pockets, a padded tablet pocket and a large open interior, there is room for almost anything with the Hunter Backpack. 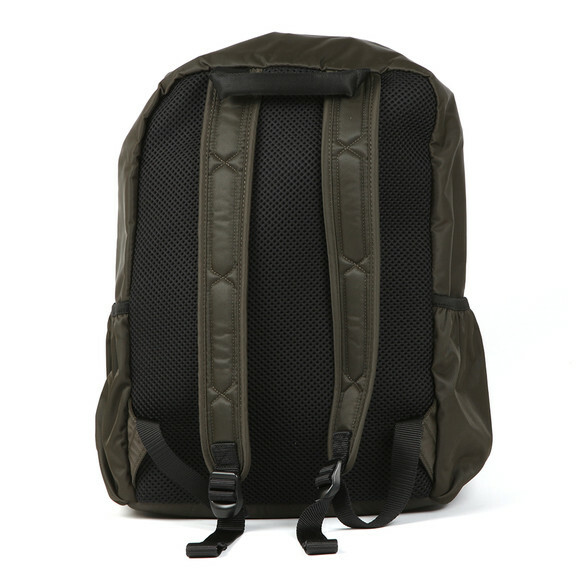 A mesh panel is added on the back to help with comfort and breathability and also adds a padding. 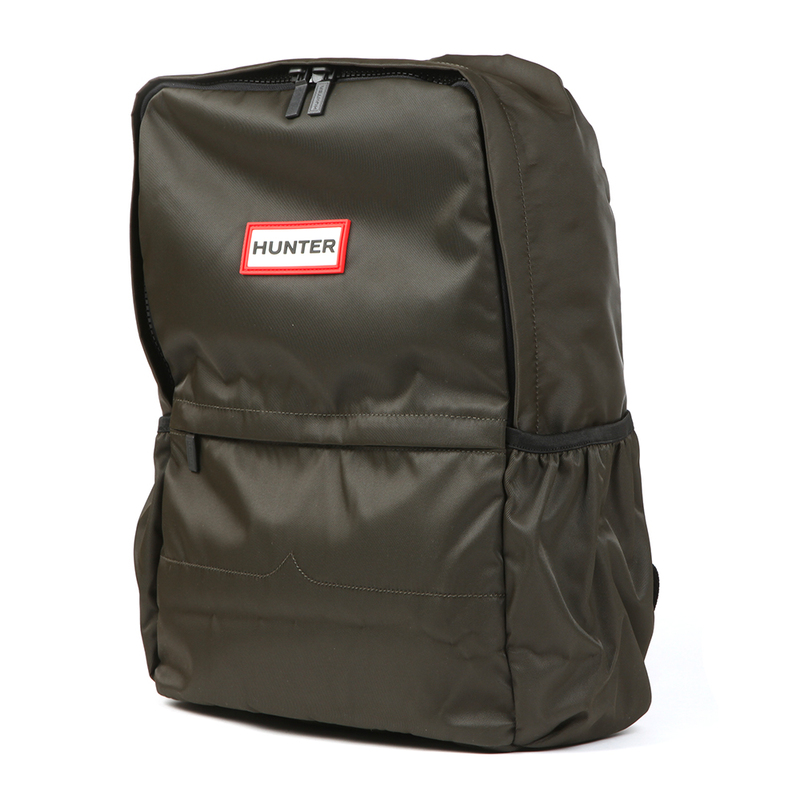 Finished with a large, rubberised Hunter logo.